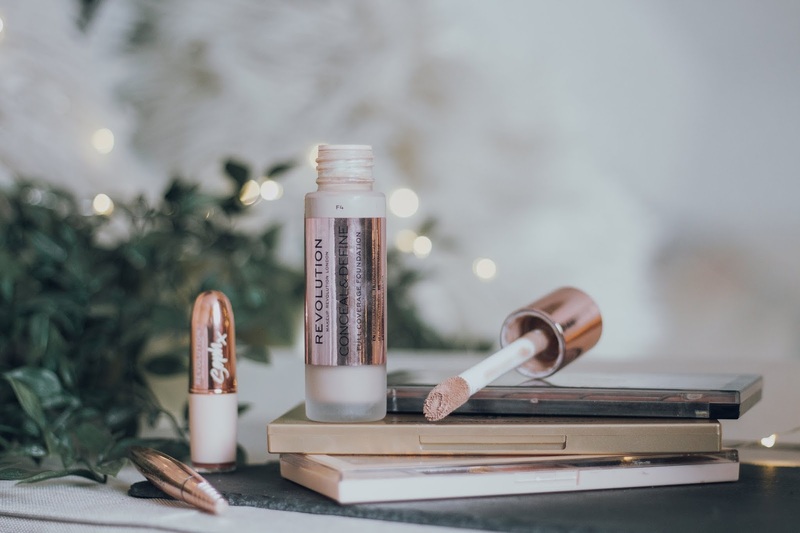 Following beauty trends can be rather hard when you're on a budget, but that's why I'm so thankful that beauty brands such as Makeup revolution exsist.. because my gosh, I am obsessed. Now I've only just started taking makeup seriously in the past two years or so, going from applying a bit of foundation, eyeliner, and mascara, to now owning 6 beautiful palettes and countless amounts of other beauty accessories. 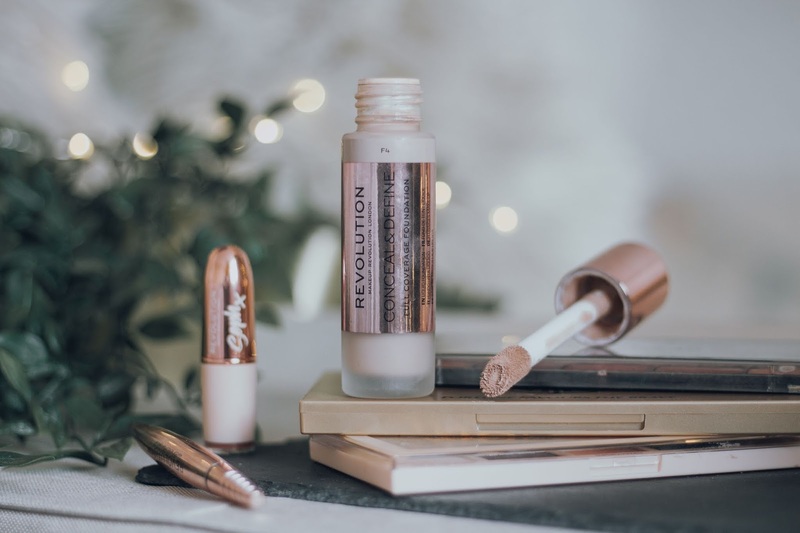 But being a student and not finding enough time to get a job it can be tricky to keep up with the latest trends and new products launches, but that's where Makeup Revolution is the absolute savior. 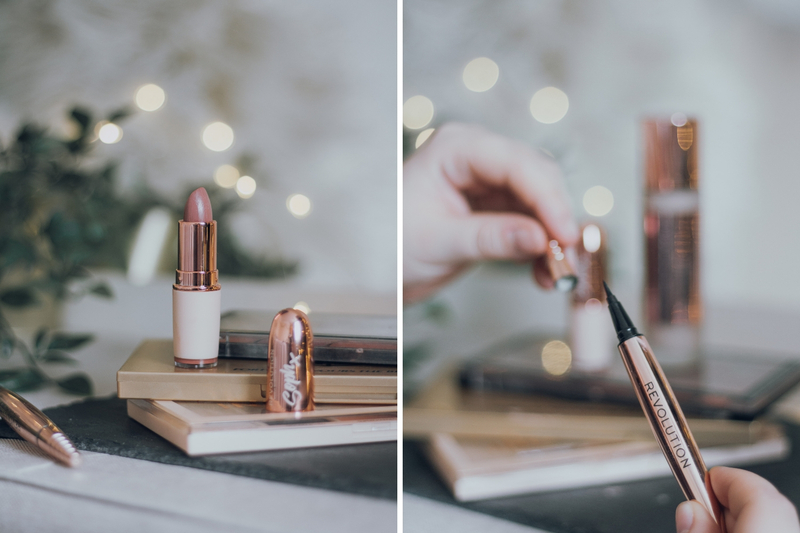 So if you're interested in filling your cupboards with affordable makeup then there may be a few things in this post you should be running to pick up! First of all, let's just have a chat about their breathtakingly beautiful packaging. Pinks, rose golds and black are just a combination to die for and my eyes have never been so aesthetically pleased. But it's not just the colour scheme that I am obsessing over, a little boring and eco geeky but I love how they don't overdo it with the amount of packaging that their products are sold in. With simple sized casing, it not only helps the earth to decrease on waste but it also makes it all a super handy size to just chuck in your handbag and go. But onto the products themselves, I often find the perfect colored foundation hard to find... Being pretty pale but yellow toned, I have to admit I'm looking for something pretty specific and I find that foundations never really tend to cater properly for the differentiation of yellow and pinky toned skin. But with the makeup revolution conceal and define full coverage I've managed to find the dream shade, something that doesn't make me look like I've tipped a blush all over my face and neither does it make me look like a simpson. I personally head towards the F6.5, and if you know these shades like the back of your hand then damn you know how pale that is. But the formula and the shade are the dreamiest I've come across and not to mention how long they last, and these can be found in boots/superdrug for just £9 what more can you ask for? The eyeliner. If you know me then you'll know that I'm an eyeliner queen, I either sport a no-makeup look or a full-blown wanna be glam kind of vibe. But either way, it cannot be completed without a flick of the revolution eyeliner. I have to say I ran out and bought this when I saw that Sophdoesnails had recommended it, because if you've seen soph's youtube channel you will know that she is an absolute queen in the beauty world. Its the perfect liner for that sharp flick to complete your make up look, you know the one that makes you look fierce.. like you have your life together (I wish). With a thin pointed end, and a beautiful long lasting formula its something that I have very quickly fallen in love with, not to mention that the cost only came in at £5. In terms of collaborations, talking of sophdoesnails I went ahead and ordered myself the soph lipstick collaboration in the shade cake, this was a dreamy £4. Because I find that my make up collection is always filled with several winter berry shades, but constantly lack casual wearable shades such as nudes and pinks. Not having done any more research than simply watching soph pop it on in a youtube video, I half expected it to be a matte. 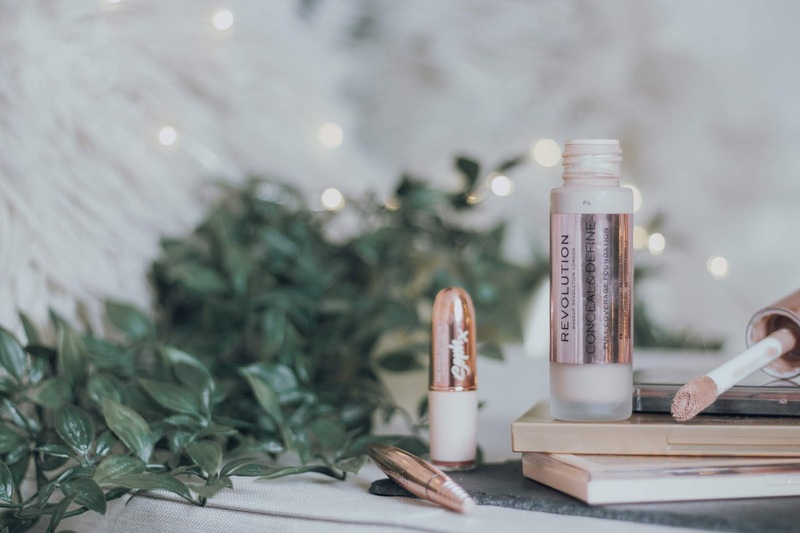 But surprisingly its a gorgeously moisturising formula with a subtle bit of shine to it, the perfect addition to my ever growing make up collection! What's your favourite makeup revolution make up product?